Akron, Ohio, one of the \world's most livable cities,\ was the site of Sojourner Truth's famous speech Ain't I a Woman in 1851. It's also known as the Rubber Capital of the World, a title it earned in the early 1900s because of its booming rubber industry. Though many of the manufacturing plants have shut down, Akron has transformed itself into one of the midwest's high tech havens. Akron's Rolling Acres neighborhood has some of the city's nicest apartment rentals, and MyNewPlace can help you find ones with a variety of great interiors such as a baby blue foyer! Our apartment guide can also help you learn more about the in's and out's of apartment living. 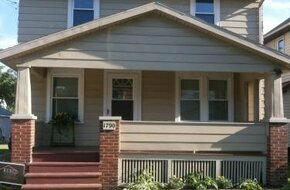 Rolling Acres is a perfect neighborhood in which to find your new Akron apartment. Think this is the only Akron neighborhood for you? Check nearby neighborhoods below to see all your options. Use our "Ask a Question" feature on this page to get answers about Akron's neighborhoods from our local experts! Best of luck in your search! Many of the best rentals in Akron are in the Lane-Wooster neighborhood, let MyNewPlace help you finally find that perfect entryway you've been looking for. Have specific needs or a limited budget? Click the search button above, then select the rent range and other amenities that meet your needs. Apartment living in neighborhoods like Lane-Wooster is just one of a lot of things you can learn about from the MyNewPlace's apartment blog. Want the scoop on Lane-Wooster? Check out MyNewPlace for local tips and information about Lane-Wooster Akron. You can get a lot of answers to your Lane-Wooster apartment questions by clicking through to floor plans, maps, photos and videos on each property's details page. The apartment rentals in South Akron are many of the nicest in Akron, let MyNewPlace help you finally find that perfect entryway you've been looking for. Browse through the above 'popular rentals' listings in your new neighborhood in Akron! Good luck finding your new place! A lot of the cutest rentals in Akron can be found in the Goodyear Heights neighborhood and MyNewPlace can help you find ones with a variety of great interiors such as a spacious bedroom! Looking for that perfect apartment but have a specific spending limit? No worries - our apartment finder will help you search for that impeccable Goodyear Heights apartment for rent that will meet your needs and fit your budget. Use our "Ask a Question" feature on this page to get answers about Akron's neighborhoods from our local experts! Best of luck in your search! Akron's Muiddlebury neighborhood has lots of the city's most cost effective rental apartments. Browse through the above 'popular rentals' listings in your new neighborhood in Akron! Good luck finding your new place! The rental apartments in Northwest Akron are lots of the nicest in Akron, and you will find this neighborhood full of friendly people and convenient amenities. You can also use our apartment blog to learn more about apartment living in general. 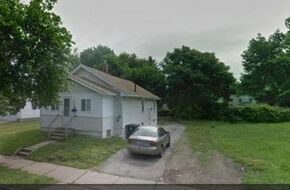 Northwest Akron is a really nice place in which to find your new Akron apartment. Want to learn more before deciding if Northwest Akron is the neighborhood for you? Get started now. You can get a bunch of answers to your Northwest Akron apartment questions by clicking through to floor plans, maps, photos and videos on each property's details page. Several of the most cost effective apartments in Akron are in the Wallhaven neighborhood, let MyNewPlace help you finally find that perfect pantry you've been looking for. You can get tons of answers to your Wallhaven apartment questions by clicking through to floor plans, maps, photos and videos on each property's details page. Akron's Highland Square neighborhood has a lot of the city's prettiest apartment rentals. Apartment living in neighborhoods like Highland Square is just one of lots of things you can learn about from the MyNewPlace's apartment blog. Want to learn more about Highland Square? Look at MyNewPlace for local tips and insider information. 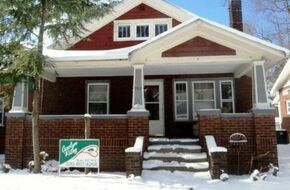 The rentals in Akron's Elizabeth Park Valley neighborhood are several of the nicest in the city. Looking for that perfect apartment but have a specific spending limit? No worries - our apartment finder will help you look for that unequaled Elizabeth Park Valley apartment for rent that will meet your needs and fit your budget. Browse through the above 'popular rentals' listings in your new neighborhood in Akron! Good luck finding your new place! Akron has several great apartments and tons of the nicest can be found in Fairlawn Heights, your new place is waiting for you on MyNewPlace! The MyNewPlace apartment guide can help you not only learn about living in apartments in Fairlawn Heights but also other neighborhoods throughout Akron. Want to learn more before deciding if Fairlawn Heights is the neighborhood for you? Get started now. You can get several answers to your Fairlawn Heights apartment questions by clicking through to floor plans, maps, photos and videos on each property's details page. West Akron has some of the prettiest apartment rentals in Akron. Looking for that perfect apartment but have a specific spending limit? No worries - our apartment finder will help you search for that spotless West Akron apartment for rent that will meet your needs and fit your budget. 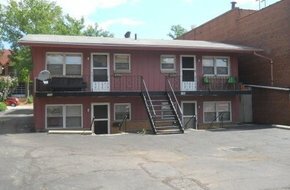 Apartment living in neighborhoods like West Akron is just one of several things you can learn about from the MyNewPlace's apartment blog. Think this is the only Akron neighborhood for you? Check nearby neighborhoods below to see all your options. 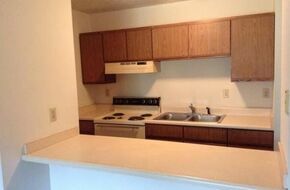 Akron has a ton of great apartments for rent and some of the best can be found in Summit Lake, that sage green pantry (or whatever your dream interior looks like) is waiting for you on MyNewPlace! MyNewPlace's apartment search can help you search for that perfect Summit Lake apartment. Apartment living in neighborhoods like Summit Lake is just one of a ton of things you can learn about from the MyNewPlace's apartment guide. Want to learn more before deciding if Summit Lake is the neighborhood for you? Get started now. The rental apartments in Merriman Valley are lots of the cutest in Akron, just use MyNewPlace to find the perfect one! The MyNewPlace apartment search can help you locate the perfect apartment rental that meets your budget constraints. Want to start searching right away? Check out floor plans, photos, maps and videos on MyNewPlace! Best of luck in your search! 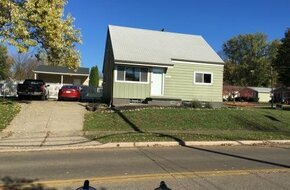 A lot of the cutest apartment rentals in Akron can be found in the Ellet neighborhood regardless of whether you want a pale purple living room or a storage area. Our apartment blog can also help you learn more about the in's and out's of apartment living. Ellet is a excellent neighborhood in which to find your new Akron apartment. Want to learn more about Ellet? Check up on MyNewPlace for local tips and insider information. Akron has several great rentals and some of the prettiest can be found in Firestone Park, let MyNewPlace help you finally find that perfect pantry you've been looking for. Browse through the above 'popular rentals' listings in your new neighborhood in Akron! Good luck finding your new place! Lots of the best apartment rentals in Akron are in the East Akron neighborhood, make sure to check out all the options listed on MyNewPlace! Looking for that perfect apartment but have a specific spending limit? No worries - our apartment finder will help you locate that impeccable East Akron apartment for rent that will meet your needs and fit your budget. You can get a ton of answers to your East Akron apartment questions by clicking through to floor plans, maps, photos and videos on each property's details page. 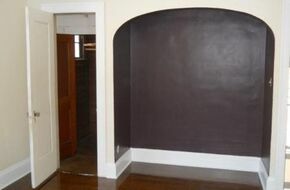 The apartments for rent in Kenmore are tons of the most cost effective in Akron. Looking for that perfect apartment but have a specific spending limit? No worries - our apartment finder will help you locate that perfect Kenmore apartment for rent that will meet your needs and fit your budget. You can learn about roommates, landlords and other apartment issues in Kenmore as well as Akron's other neighborhoods in our apartment guide. Want to learn more about Kenmore? Check up on MyNewPlace for local tips and insider information. The University of Akron Zips reside, conveniently, between the major cities of Cleveland (40 miles south) and Pittsburgh (100 miles northwest). So if you're itchin' to visit the 'ol Rustbelt of the U.S. or visit the birthplace of Heinz Ketchup in Pittsburgh, your destinations are just a couple of hours away. One of the Princeton Review's "Best in the Midwest," University of Akron holds its head up high as a shining star in academia. Its industrial/organizational psychology program was ranked one of the nation's top 10 in 2009, so watch out for those sneaky future therapists. They might just be mind-readers. And let's not forget UA's mascot Zippy, winner of the Capital One Bowl Mascot of the Year Challenge in 2008. If you're looking to escape the dorms and spend some quality time away from campus, start browsing the places listed on our site. Many of the complexes advertised have maybe-not-necessary-but-definitely-enjoyable amenities to sweeten the deal. Care about the environment? Choose a place that recycles. Want to cut down on rent? Grab a few roommates, and shop around. For traveling around Akron and beyond, take a gander at the Metro Regional Transit Authority schedule and services. But why take Metro when you can travel by Roo Express?! The Roo Express takes University of Akron students downtown, near campus, and to the North side of campus. Lucky for students, all the Akron action is within reach, since downtown is down the street from campus. Take in a little culture at Akron Art Museum, which has free admission for students. Not in an arty mood? Brush up on your innovators with a trip to the Inventors Hall of Fame. Hear those cash registers chime by spending a couple bucks at Chapel Hill Mall. Unwind with some tea at Karma Kafe hookah bar after a few hours of studying at Angel Falls Coffee House. Check out the goings-on on bustlin' Main Street. You might just be lucky enough to catch one of Main Street's famous festivals. Akron boasts free concerts during the summer and ice skating during the winter.